British employees spend more than a third of their time feeling stressed, according to 2015 research by Star Consultancy. As we all know, work can pretty stressful. From dealing with deadlines to preparing for evaluations and managing colleagues, the office is a veritable minefield. 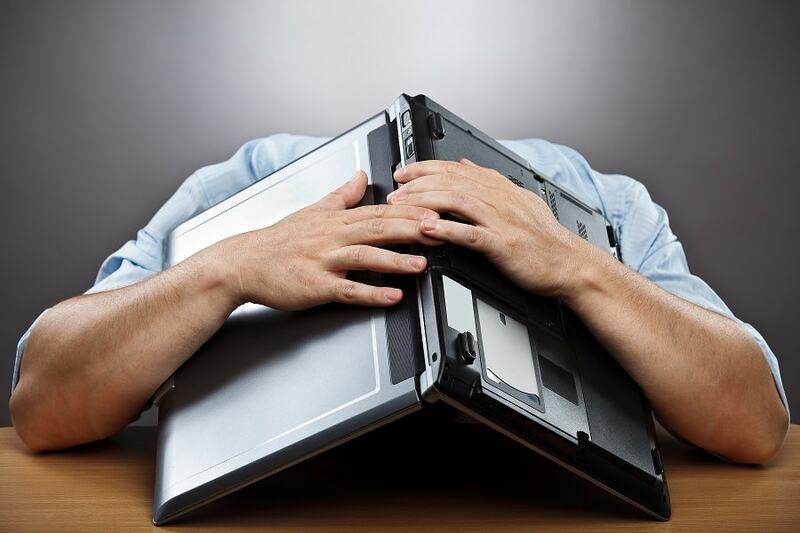 Stress at work is a big problem for both individuals and organizations. In addition to having a potentially huge negative impact on employee’s health, it also can severely debilitate their self confidence, motivation and productivity. At the end of the day, stressed employees can have a huge effect on a company’s bottom line so it’s in managers’ interests to make sure their team is as stress free as possible. Here are some tips to help you keep the stress levels down in your organization. Many staff members will tend to follow their boss. The way you work and act in the office can therefore have a huge impact on how your team operates. Try to not stay late every night and eat lunch at your desk and the chances are your employees won’t either. Setting the right work culture can have a huge impact. Keeping your team informed about what’s going on within the department or in the business in general can help them to avoid the stress of not knowing what’s happening or is expected of them. Similarly, being available to listen to employees can help them explain what’s troubling them and allow you to help them find solutions. Healthy eating can have a huge impact on your staff’s performance and mental well being, which can help beat stress. Make sure that your team is eating healthy foods such as those high in vitamin B, omega-3 and whole grain carbohydrates. According to research by Regus among others, flexible working can be a great way of reducing stress. Allowing people to come earlier or leave later and fit their workday around their other commitments can help get rid of a lot of stress related to maintaining a healthy work/life balance. According to research from Norway and Sweden, putting potted plants in the office can reduce stress as well as fatigue and minor illnesses. Not only will they make your office look nicer but they’ll improve everyone’s health as well! Taking even short breaks of a few minutes every two hours can reduce stress and have a huge boost on general well being and productivity. Making sure your team is getting the physical and mental breaks they need can have a big impact. A great way to understand how your employees are working, when they’re taking breaks and what might be causing them stress is to use employee monitoring software. Solutions such as KnowIT monitor exactly when each team member is working and what apps and websites they’re using. With regular reports for each employee you’ll be able to quickly see who is overworked, staying too late or isn’t taking enough breaks. To learn more about KnowIT click here. If It Happened To Elon Musk, It Can Happen To You! How to Secure Company Devices — PC, Mac, Mobile, and More.